The first buyer CiCi Harris worked with didn’t have a bank account. She was selling a home near the Atlanta Zoo in Grant Park and the prospective buyer was the zookeeper. A loan manager had to take a picture of the $600 cash, which the man kept under his mattress, to approve the loan. That was then. This is now. Last week, the Atlanta REALTORS Association honored Dorsey Alston’s CiCi Harris with its Platinum Phoenix Award, which means she has been among the top producers in residential real estate for more than 35 years. Harris first got into real estate at the request of her father Norman and brother Graham, who were building homes in East Cobb in the 1970s. They would build them, and CiCi would sell them. She spent the first 25 years of her career with Northside Realty, the company founded U.S. Senator Johnny Isakson's father. The Senator served as president for many years and CiCi developed a lifelong friendship with him as a result. She attended George W. Bush’s inauguration with the Senator. While at Northside, Cile Stockhausen, the ‘grand dame’ of Buckhead, took CiCi under her wing. She also learned a great deal from mentors Peggy Ferguson and Betty Hardeman. CiCi is a huge fan of Dorsey Alston largely because — like Northside Realty once was — it is family owned. She likes that emphasis on the family, with events open to all like the annual Pumpkin Patch and the visit from Santa Claus. Dorsey Alston is like a family in many ways. Her advice to agents just starting out is to always be mindful of their reputation, especially when it comes to other agents. How a Realtor works with other Realtors is more important than how they work with their clients, because they will have to work with those agents throughout their careers. 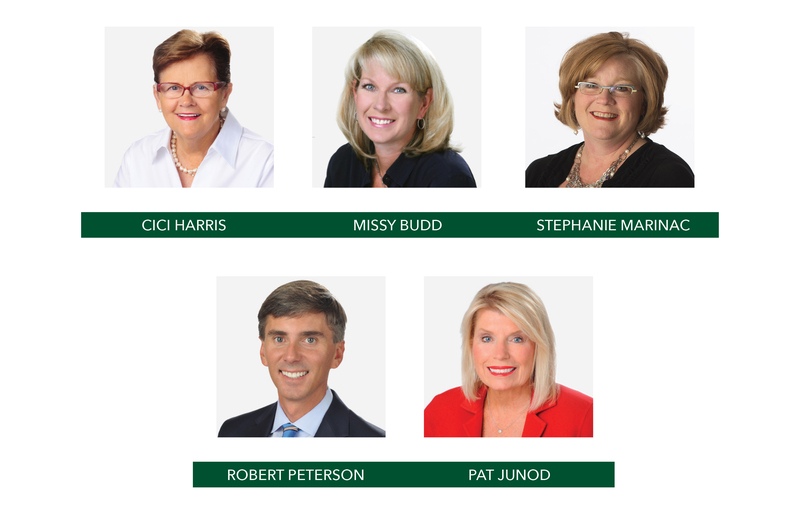 Please join us in congratulating CiCi as well as Pat Junod (Gold) Missy Budd, Stephanie Marinac and Robert Peterson on their Phoenix Award recognition by the Atlanta REALTORS Association.